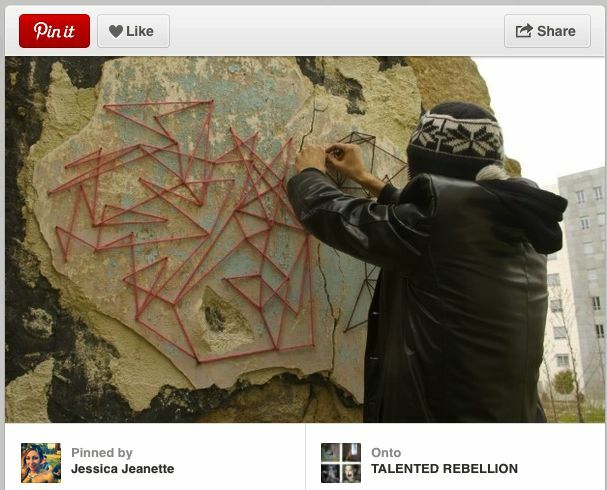 I’VE BEEN GETTING A LOT OF INSPIRATION FROM PINTEREST RECENTLY SO I THOUGHT THAT I WOULD POST SOME OF THE COOL PINS THAT HAVE INSPIRED ME. THESE IDEAS ARE GREAT AND THE PHOTOGRAPHS ARE COLOURFUL AND FUN. THIS SKELETON IS SO CLEVER. 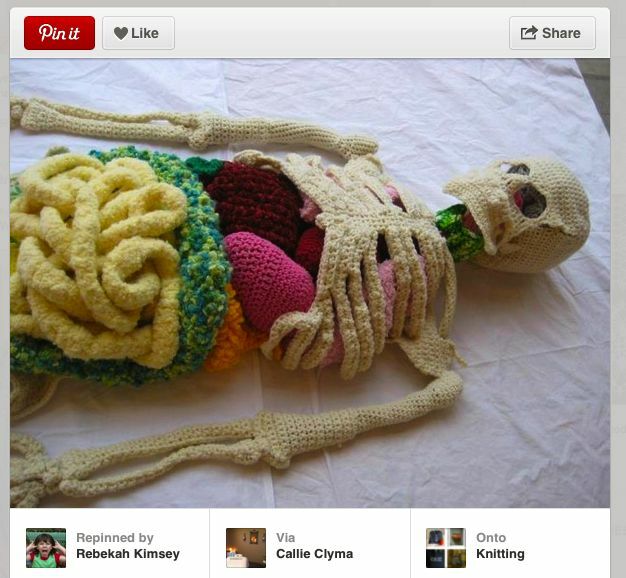 IT LOOKS LIKE THE INTESTINES ARE MADE FROM FELTABLE KNITTING YARN. 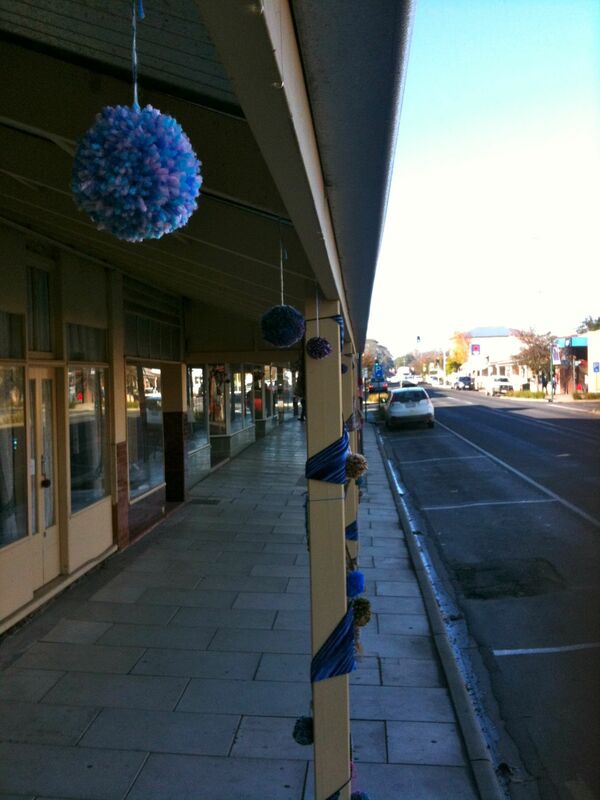 THIS CLEVER YARN BOMBING TECHNIQUE LOOKS LIKE PINS AND STRING ON A MAP, I REALLY WANT TO TRY DOING THIS MYSELF, IT MIGHT LOOK NICE ON MY GARDEN FENCE. 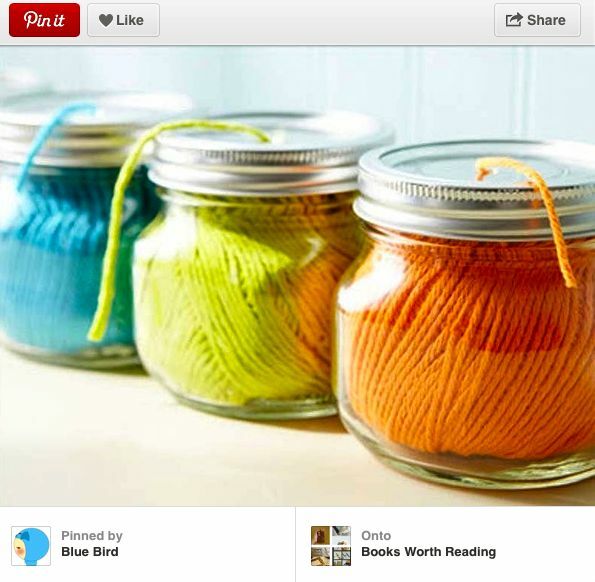 THESE CLEVER YARN STORAGE IDEAS ARE GREAT. 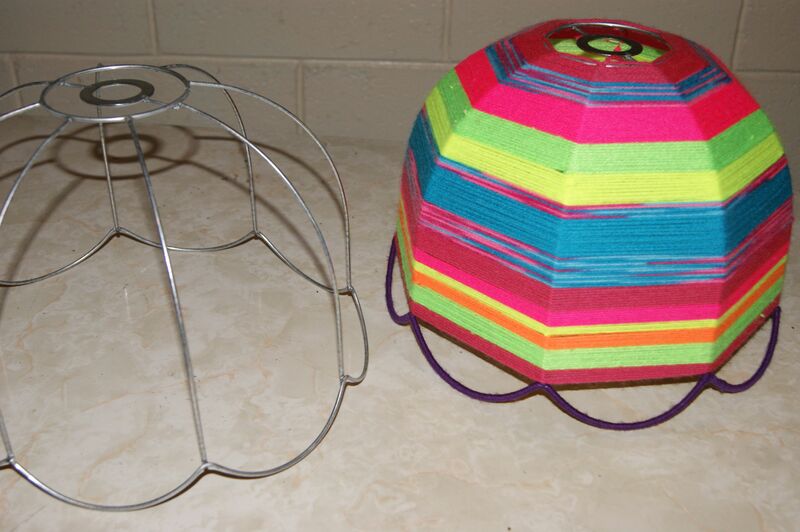 I THINK THE BOTTOM ONE IS A LOO ROLE HOLDER, I THINK MY CAT WOULD HAVE FUN UNROLLING THIS. This entry was posted in Uncategorized and tagged felt, knitting, photography, PINTEREST, yarn, yarn bombing on July 23, 2013 by yarnbomb. 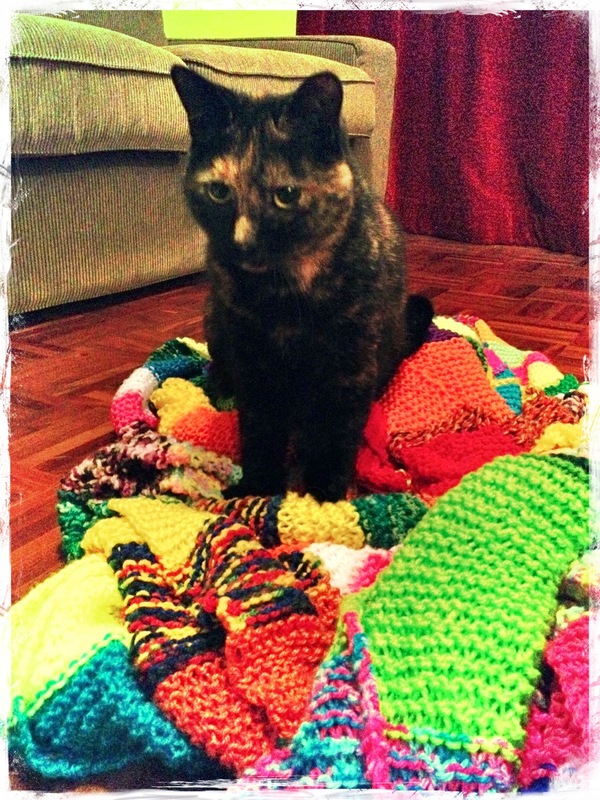 MY FRIENDS LITTLE CAT LILLY TOOK OVER THE MEGA LONG SCARF THAT I’M KNITTING. 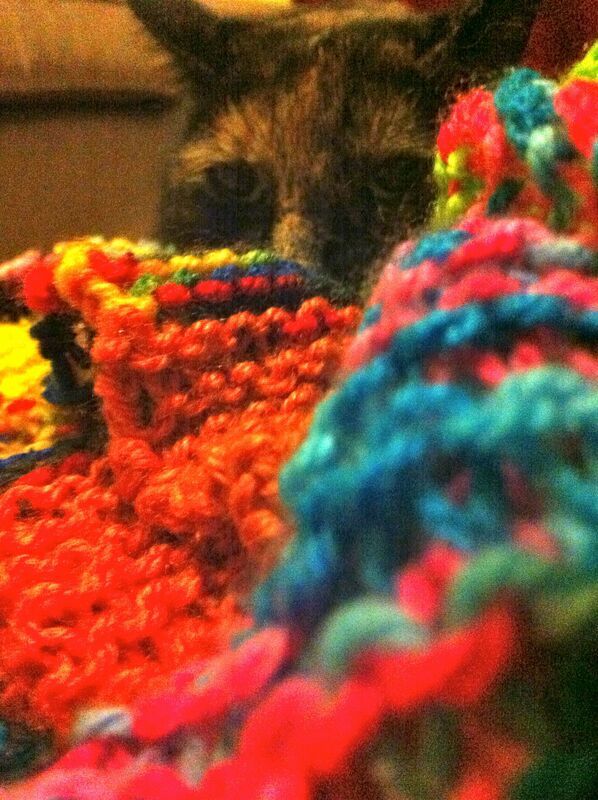 SHE PLAYED IN THE FOLDS OF THE SCARF AND THEN SHE SLEPT FOR HOURS ON IT. 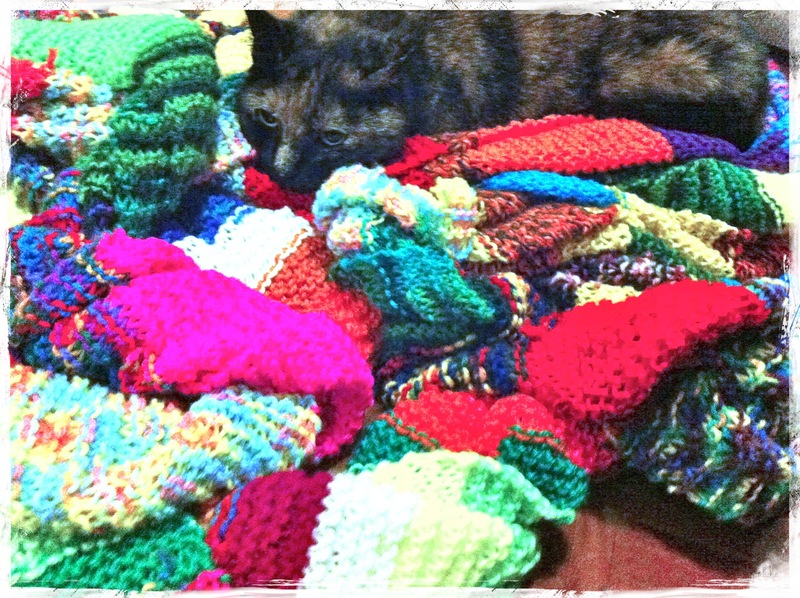 THE SCARF IS ACTUALLY GETTING SO LONG THAT I WAS ABLE TO KEEP KNITTING FROM ONE END WHILE LILLY SLEPT ON THE OTHER END. THE CAT ALMOST BLENDS WITH THE SCARF. THE CAT WAS BEING SO CUTE THAT MYSELF AND TWO OF MY FRIENDS TOOK A LOT OF PHOTOGRAPHS, BY THE END OF THE NIGHT LILLY THE CAT WAS TOTALLY SICK OF US COOING LOOK AT THE CAMERA. 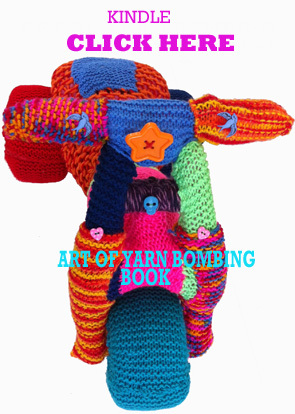 This entry was posted in Uncategorized and tagged Cat, CATS, craft, knitting, photography, yarn on July 22, 2013 by yarnbomb. 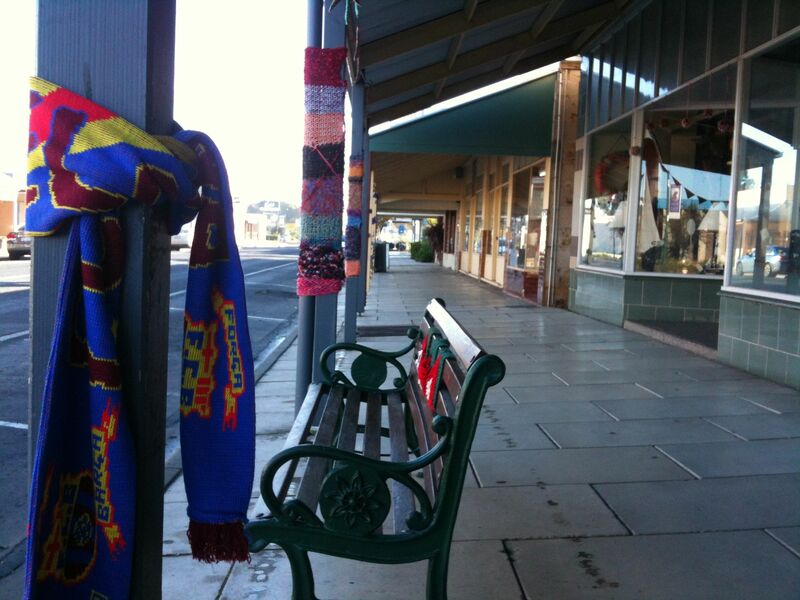 THESE PHOTOGRAPHS OF YARN BOMBING WERE ALL SNAPPED IN SOUTH AUSTRALIA, PRIMARILY PORT ADELAIDE AND PENOLA. 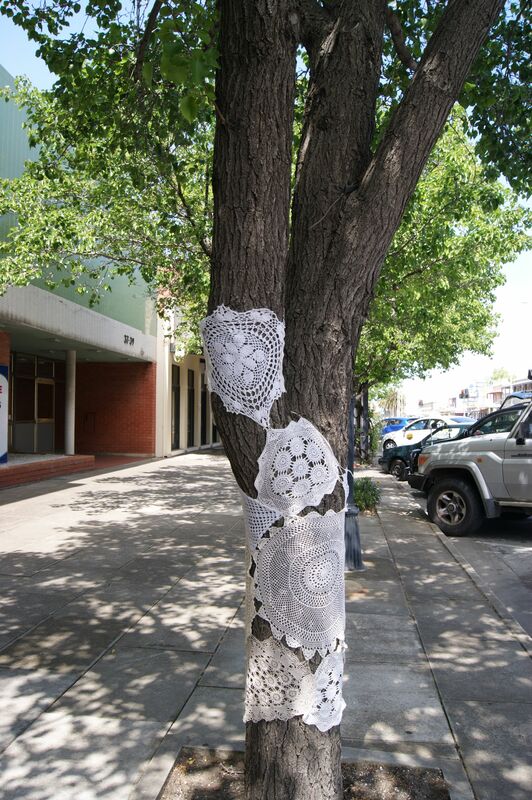 KNITTING, CROCHET AND VINTAGE LACE ARE ALL PERFECT CRAFT MATERIALS FOR YARN BOMBING AND STYLISH STREET ART OR STREET CRAFT. 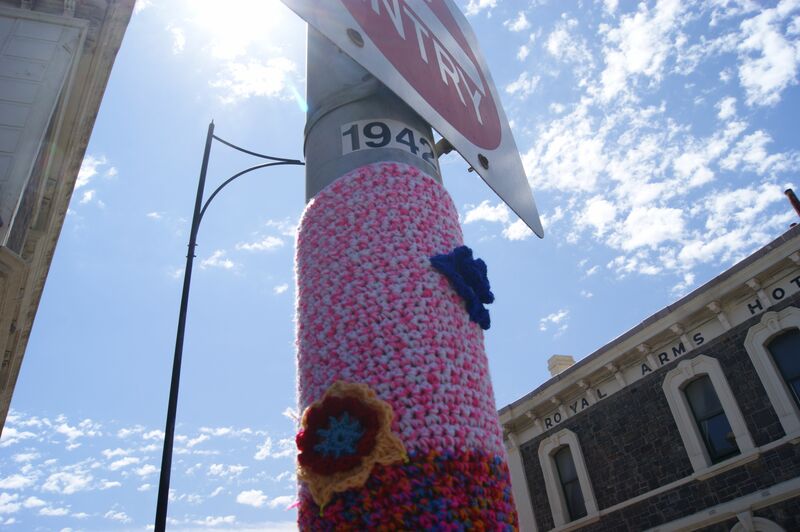 This entry was posted in Uncategorized and tagged craft, crochet, knitting, PENOLA, photography, port adelaide, south australia, street art, vintage on July 14, 2013 by yarnbomb. 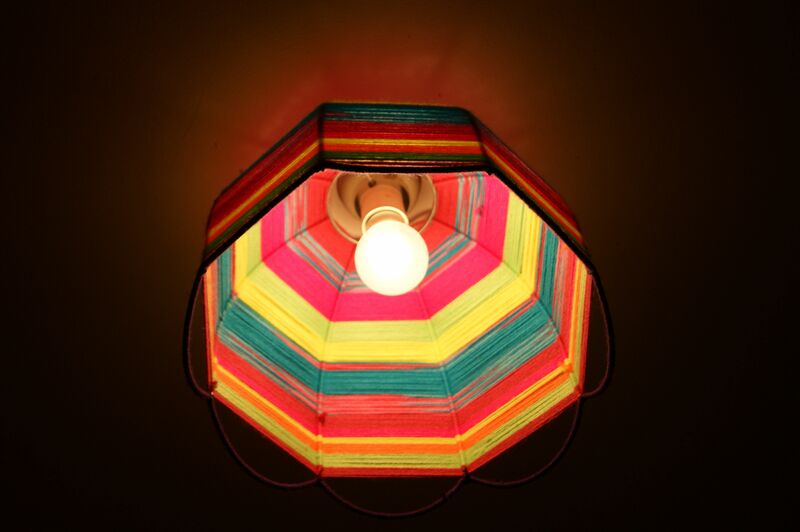 I MADE THIS LIGHT SHADE MYSELF AND IT WAS REALLY EASY AND INEXPENSIVE TO DO. 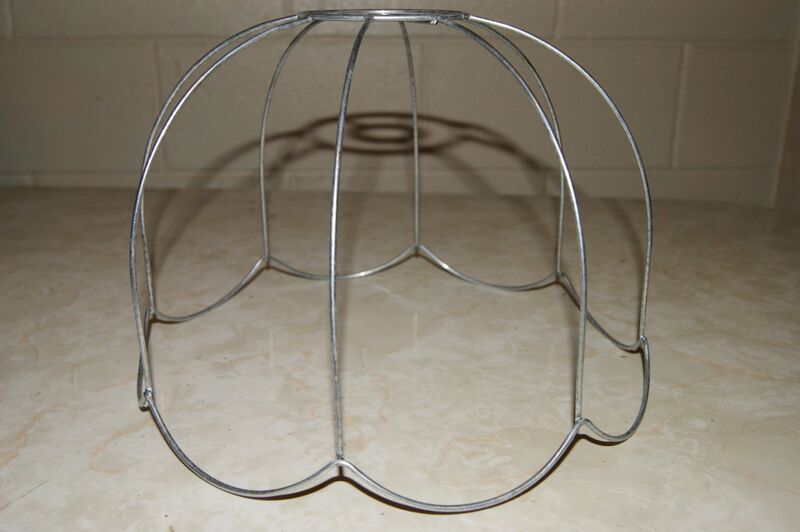 YOU COULD ALSO RECYCLE AN OLDER WIRE FRAMED SHADE BY STRIPPING OFF THE OLD COVERING. 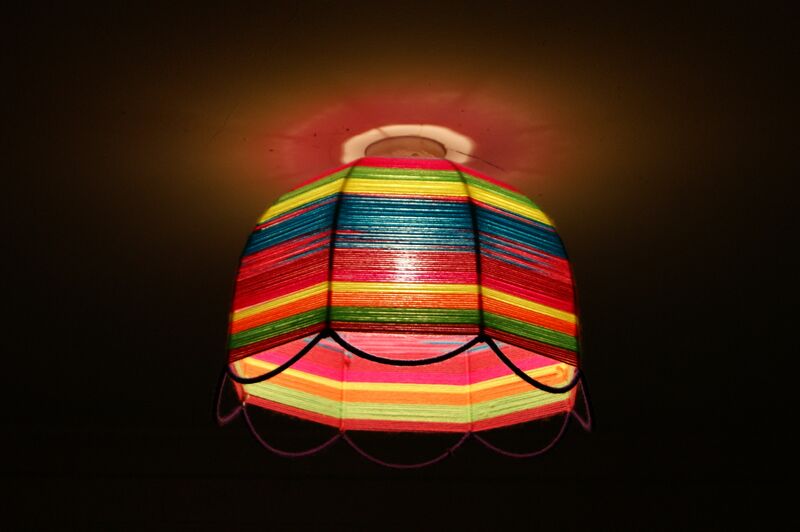 I USED KNITTING YARN TO DECORATE MY SHADE. THE PROCESS WAS REALLY SIMPLE. I CHOSE MY COLOURS AND WRAPPED THEM AROUND THE FRAME IN STRIPES. 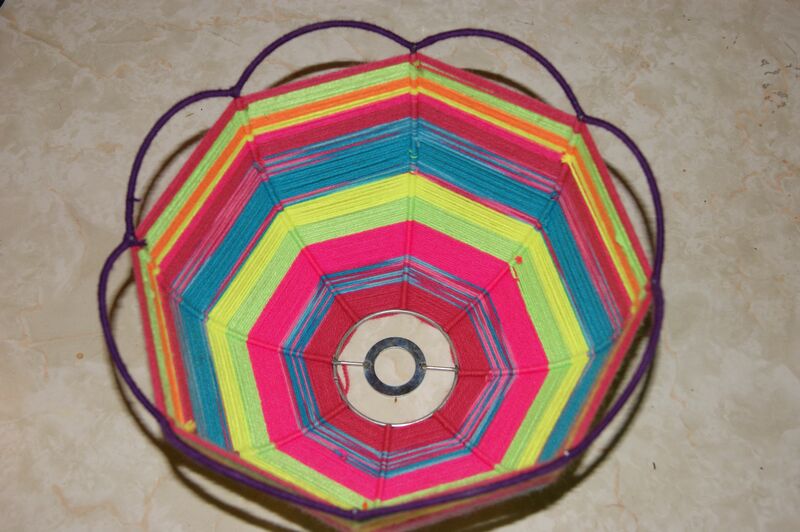 AS I STRETCHED THE YARN AROUND THE FRAME I LOOPED IT AROUND EACH OF THE WIRE SEGMENTS TO ANCHOR IT. 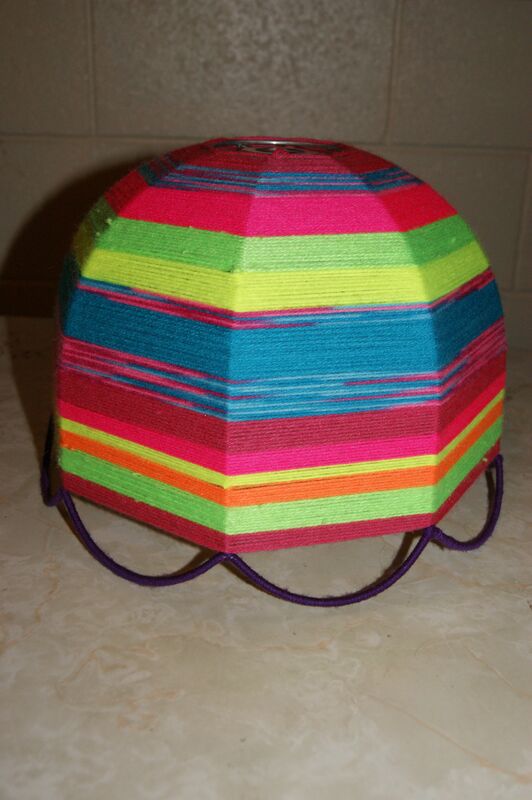 I USED SYNTHETIC YARN BECAUSE IT COMES IN SUCH BRIGHT COLOURS. 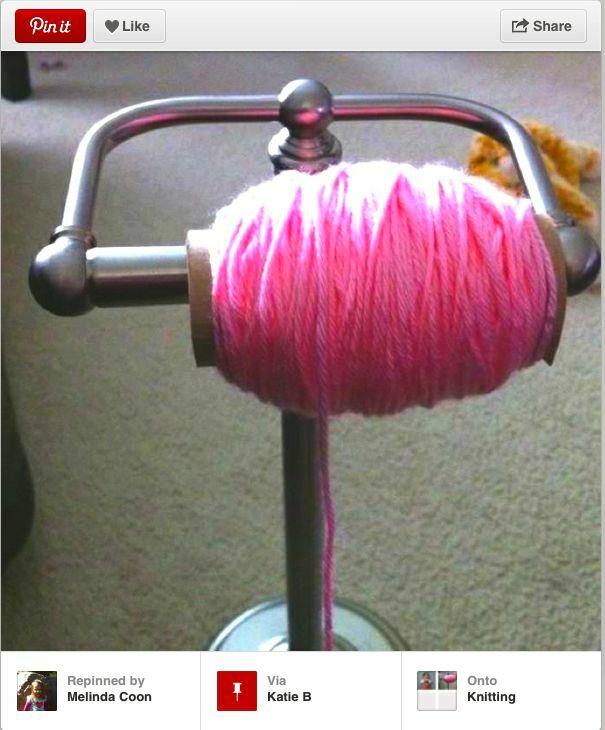 IT’S ALWAYS LOVELY TO FILL YOUR HOME WITH HANDMADE DECOR. This entry was posted in Uncategorized and tagged craft, decor, handmade, HOME, knitting, LAMP SHADE, LIGHT SHADE, yarn, yarn bombing on July 7, 2013 by yarnbomb. 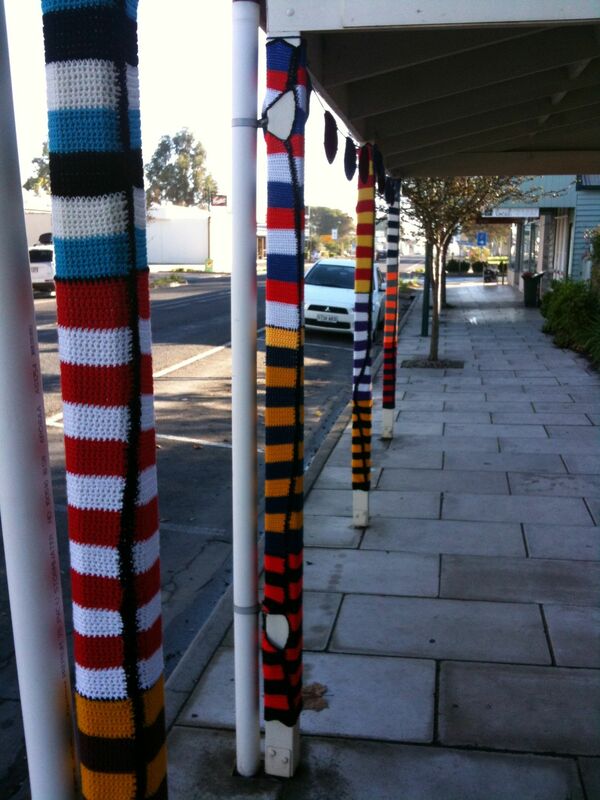 THESE STRIPED YARN BOMB POLES ARE AN UNEXPECTED SIGHT IN COUNTRY SOUTH AUSTRALIA. 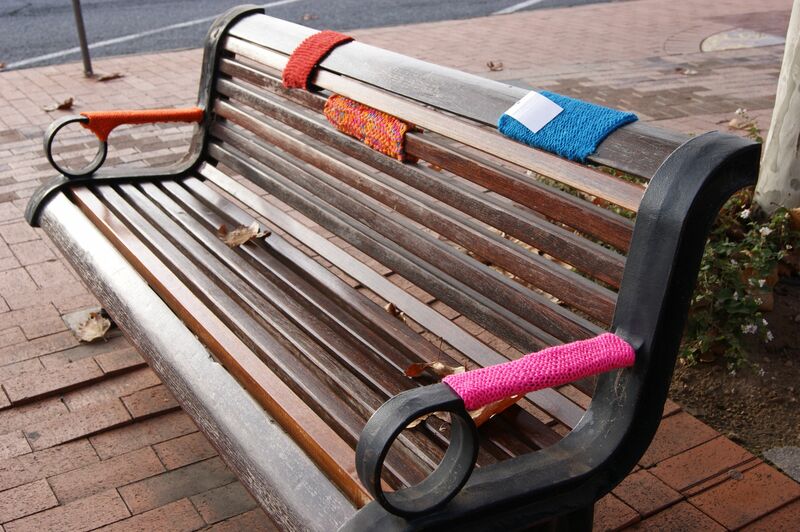 THE LOVELY KNITTED SQUARES ON THIS BENCH LOOK VERY WELCOMING. 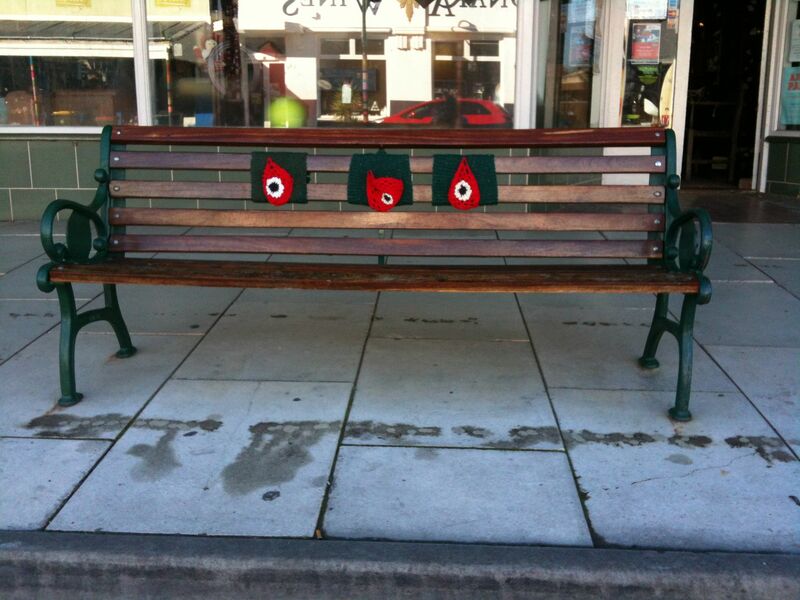 This entry was posted in Uncategorized and tagged knitting, photography, south australia, street art, yarn bomb, yarn bombing on July 3, 2013 by yarnbomb.